They come from all across America, competing to be the youngest kid ever to climb Everest. But only one will reach the top first. The competition is fierce. The preparation is intense. The challenge is breathtaking. 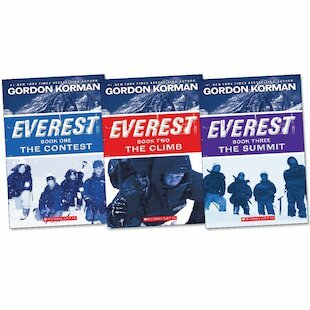 But trouble strikes as soon as the team leaves Base Camp… Can the young climbers survive the freezing storms? 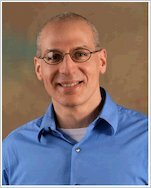 Who will be first to the summit? And in these lethal conditions, which kid is trying to sabotage the others? 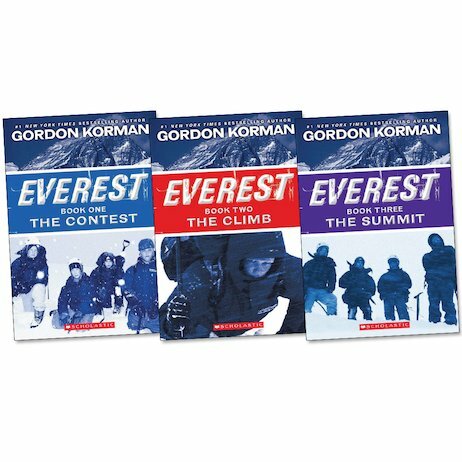 A thrilling adventure trilogy from Gordon Korman, set on the unforgiving slopes of the tallest and most famous mountain on the planet.